All right, Jinx, tell us a bit about yourself! Who are you & some of your background, tell us about your stream, and explain why Brigitte and what you played before her release! What is the fundamentals for Brigitte or what is her job in a game? How do we overcome the community’s negativity about the hero being “too easy” to play? How can we utilize the shield within our positioning? How do you balance Self-protection and shielding allies? Community Question from Jonaqec: Do you find yourself using the 3rd person view (while holding the shield) often, and if so, how do you choose your situations wisely? How to decide when to play aggressive (front with tanks) or defensive (back with supports)? What enemy comps or situations would make you choose one style or the other? Okay let’s kick things off with your bread and butter: Healing with Armor Pack & the Passive: Inspire abilities. How do I make sure that each pack is useful? How do I ensure safely to heal the team with Inspire? Community Question from JustRecentlyL: How does armor pack interact with bionade? Is it completely blocked or can you get the overheal armor from it anyway? Let’s talk about using the Shield Bash and effective use. Do you find yourself using it on cooldown for escape/initiation? How to do we get the most out of Whip Shot? What things can we do to land the hacks before they react? 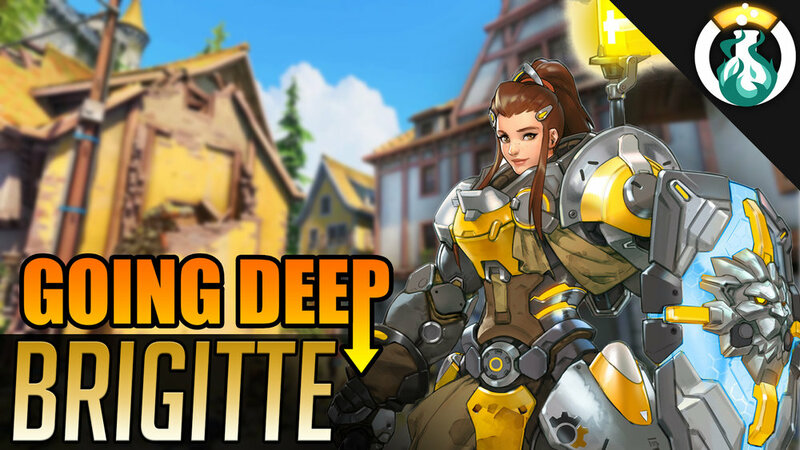 How Map Dependent is Brigitte?